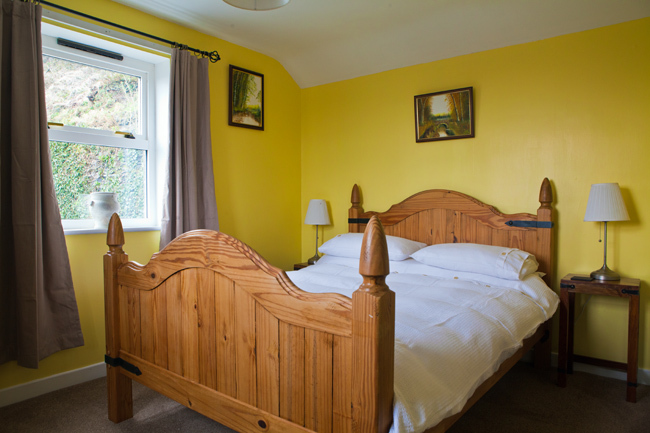 Bodorwel Cottage is located in upper Penrhyndeudraeth, it dates from the early 1800?s. Formally associated with a local forge, it now provides a comfortable base for exploring Snowdonia and North Wales. Bodorwel’s key attraction is it’s location beside and under the Ffestiniog Railway. 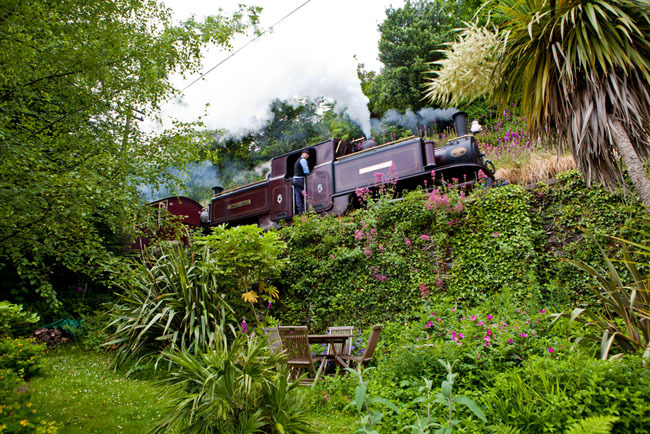 The railway literally runs along the garden wall, words and pictures do not do the experience of a steam train going by justice! We offer weekly rover tickets for the Ffestiniog Railway, Adult £24, child £12. Rover tickets also give 20% discount on the Welsh Highland Railway. Bodorwel is available for weekly lets, 3pm Friday to 10am the following Friday. 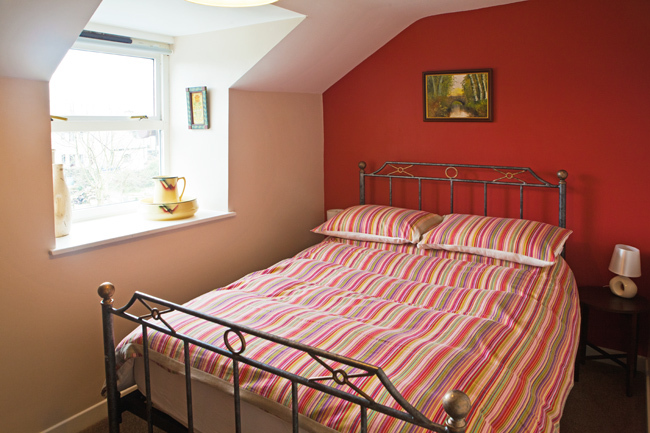 Bodorwel offers two double rooms, both with a good view, and a travel cot. 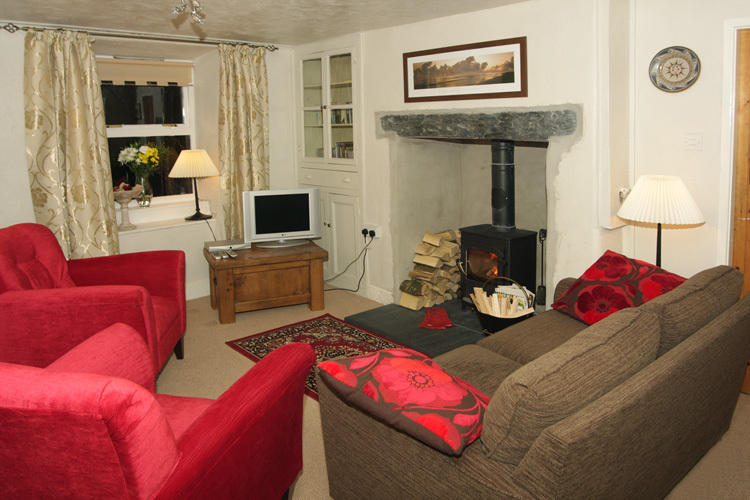 Heating is via night storage heaters and a wood burning stove in the lounge. Electricity and wood (Oct-May) are provided. The lounge seats 5, it includes a Freeview Smart TV, HiFi, Broadband and WiFi. The kitchen-diner has all that you might require for 5 people. Bedding is provided but you will need to bring towels. The mature garden has seating for 4 guests, ideal for al fresco meal. Penrhyndeudreath High St (5 min walk) has a Spar, 2 pubs, chip shop, chinese takeaway, indian restaurant/takeaway, butcher, deli, newsagent and electrical shop. 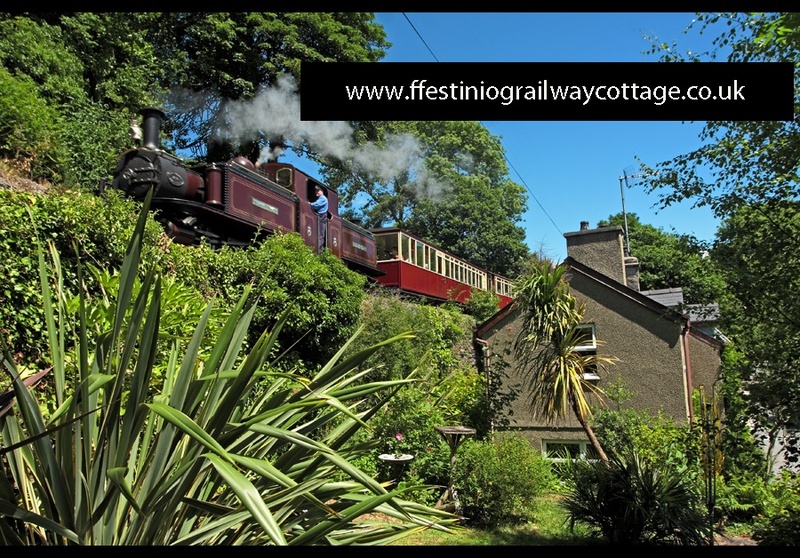 The Festiniog Railway’s Penrhyn Station is just 100 meters away, half a mile away is the Cambrian Coast mainline to Pwllheli and Shrewsbury and beyond. Portmeirion village is only a 5-minute drive away. Made famous by the cult 60?s TV programme ‘The Prisioner’, you can walk around the amazing village and the extensive grounds. Another 5-minute drive away is the historic harbour town of Porthmadog. It has all the facilities of a large town but the feel of a smaller one. The location of the terminus of both the Ffestiniog and Welsh Highland Railways, Porthmadog can also be the starting point for several locals walks; the cob and harbour; Moel y Gest; Borth y Gest and Criccieth. Snowdonia is a great place to spend time walking and sightseeing. The villages of Beddgelert, Betws y Coed and Llanberis are all nestled in the mountains. Borth y Gest, Black Rock Sands and Criccieth beaches are a short drive. Bed Linen yes, Towels no. 4 adults + 1 cot.